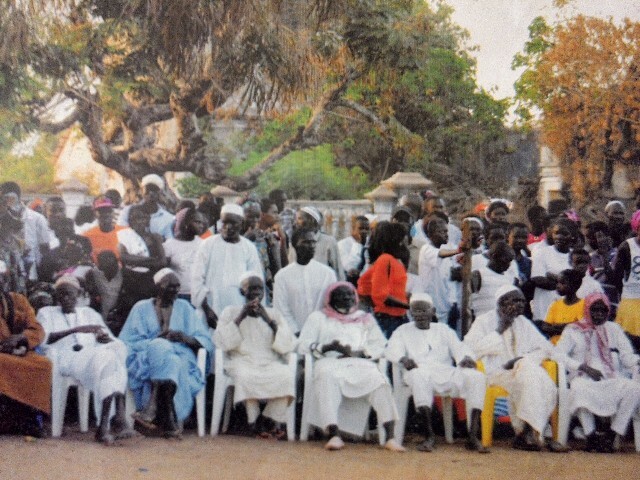 Home » Evangelism & Missions » Imams Receive Jesus in West Africa! The place we went to was packed with people during the fourth and last evening with over 3,000 people. One of those who come every evening was the former President’s wife, who had been arrested and very concerned. Many people responded to the salvation of even this last night. A man who had pain and was unable to bend his back for 15 years was completely healed and did gymnastic exercises to show that all problems were gone! A woman who had lost her sight and had been totally blind for 4 years now had full sight! 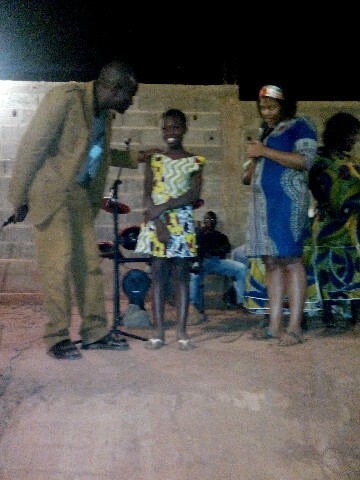 I was also invited to a witch doctor who was possessed by several demons, that I cast out of him. He was so grateful and wanted more teachings about Jesus. 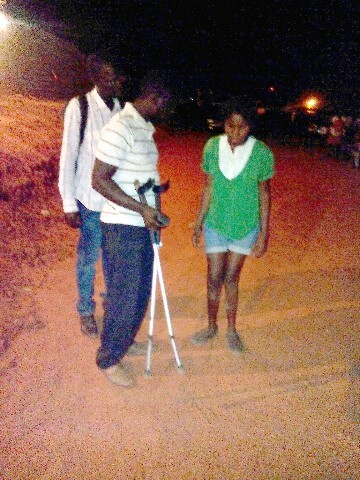 The girl with the crutches and the green jersey that you can see in the picture had never been able to walk before. A few weeks after the campaign, I was invited by her father to their home. When I got there I realized that her dad belong to the Muslim Fulani tribe, just like me, and moreover he was the imam of the largest mosque in the city. Both he and his wife fell down at my feet and gave thanks. I then explained to them that it is Jesus who healed their daughter and not me. Follow-up has been in full swing since the first day and already there have been three new churches. New amazing testimony of what happened as a result of the campaign continues to come in to the churches all the time. After this campaign we prepared for two months a small campaign on an unreached island called Bolama outside Guinea-Bissau. Almost the entire population is Muslim and I went out there a number of times to see if it would be possible to do something there. God had indeed prepared the way. I was invited to pray with the chief imam of the island in his mosque. Once there, I presented the Gospel and he promised that he would say to all the other imams who were under him in the islands that it was mandatory to attend the meeting that I now had permission to organize with the imam’s blessing! 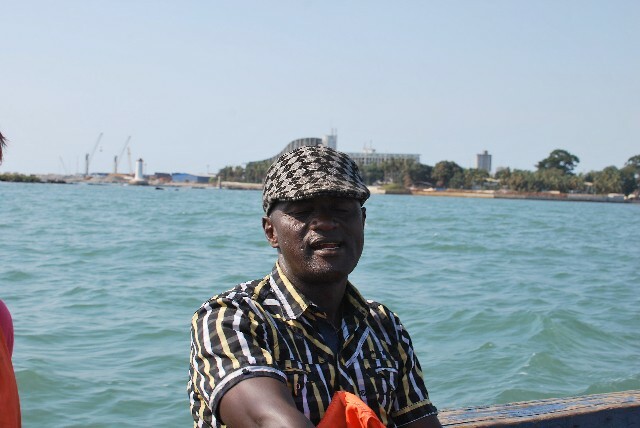 During two days we presented the Gospel in both a central meeting place and among fishermen on the beaches. Many people accepted Jesus, and the imam who welcomed us has called me several times and asked me to come back to preach inside the mosque, and continue to talk about Jesus to him and his people! Before I got the opportunity to return home to Guinea I also had time to visit a number of Mandingo/Malinki villages in Guinea-Bissau and have one-day mini campaigns. I was incredibly moved by how so many from this otherwise closed Muslim group opened their hearts and accepted the gospel directly. 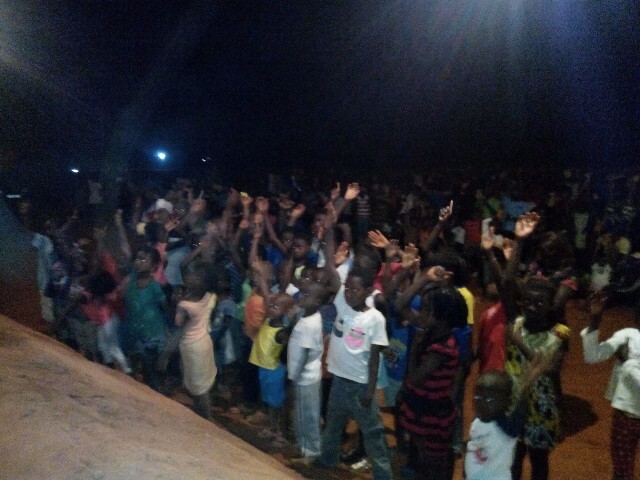 Churches have now been planted both in the island of Bolama, and several of Malinki villages! Since ebola is gone almost everywhere in my home country, we decided to go back there. On the way home to Guinea, the Lord spoke to me about going to the imams there, one by one, until we are running the campaigns for full again. I started to make contact with the imam in my home town of Mamou, who had been responsible for the worst persecution against me, the family and our church. I told him that if I really am that wrong he may well continue to haunt me, but if it is indeed so that what I believe is true, then should not he at least sit down with me and listen? And he did. In the following two hours, the 70-year-old Muslim priest who had worked as an imam in over 30 years sat and listened when I presented the Gospel. When I finished, I asked him what he thought. He replied: “I now realize that I have been wrong.” As you read this, we are brothers in Christ, I and the old, now former, imam! Every evening he secretly comes to me and we sing praises to Jesus and I teach him from the Bible. Thank you for standing with the Go Out Mission’s efforts to reach the most unreached peoples of West Africa. Knowing that I have brothers and sisters in the Nordic countries who pray for me gives me such confidence and joy in the service. Thank you also involved giving of what our Lord has blessed you for me to continue preaching the gospel. By Micael Grenholm in Evangelism & Missions, Salvation & Eternal Life, Signs & Wonders on August 28, 2015 .